Pieter Winkelaar Techno, Rhythmic Noise For a guy like me who DJ's and loves dancemusic in all its forms, the latest offerings from Ant-Zen are quite dissapointing. They used to be cutting edge industrial teknoid, but since a few years they focus more on stuff i myself call arty-farty and i am not too excited about that. So when some good dancy stuff pops up in their roster, that always makes up for a happy day. Roger Rotor is extremely dancy. I have always loved his brand of very dirty minimal techno and this album delivers the goods. Apparently he wasn't to busy with Roger Rotor since this album follows 9 years after the last 'Malleus Maleficarum' on Ant-Zen, so seems he has taken some time off. Would we be having a comeback album here? Surely looks like it. Nothing much has changed since the last album. We still have the dirty noisy groundloops, and the sizzly cymbals, with that ever heavy pounding bassdrum under it. His minimal approach might be to monotonous for many listeners but i like it very much. It does remind me of the first offerings from Detroit legends Underground Resistance and techno from that time. This album holds 8 long evolving tracks of which i like "Bomb the Bomb" and "Tanzimat" the best because they are very disco and dancable. Special recommendation is for "L'alba dei morti viventi" which sounds like Jon Lord or Ray Manzarek teamed up with Roger Rotor to make some spooky organ techno. Very weird track, but i like it a lot. For a guy like me who DJ's and loves dancemusic in all its forms, the latest offerings from Ant-Zen are quite dissapointing. They used to be cutting edge industrial teknoid, but since a few years they focus more on stuff i myself call arty-farty and i am not too excited about that. So when some good dancy stuff pops up in their roster, that always makes up for a happy day. 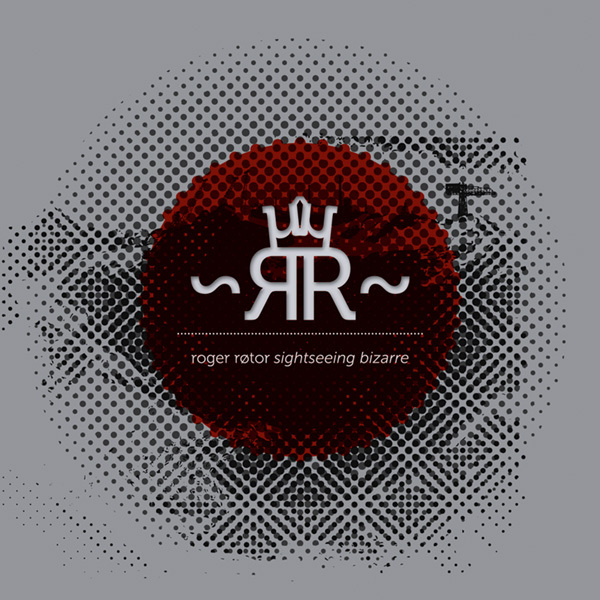 'Sightseeing Bizzare' is an excellent album for people who love their industrial dancy and with a lot of techno-influences. This dude should have enough crossoverpotential to release stuff on the famous minimal labels like M_nus or Axis. He is certainly good enough for it.